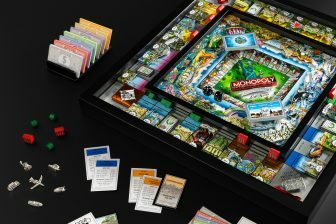 London Olympic Games Art Poster! 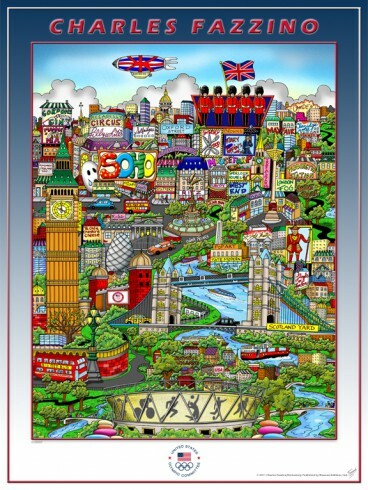 On the Fifth Day of Fazzino, we offer to you…20% off a Charles Fazzino London Olympic Games art poster. The perfect gift for your Olympic fan. 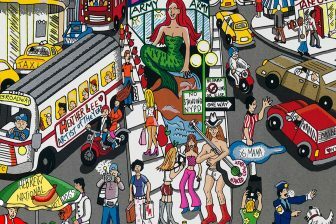 Charles Fazzino has painted seven Olympic Games for the United States Olympic Committee. Here’s your chance to order one of his commemorative posters in time for the holidays. Poster measures 18″ x 24″ and comes signed or unsigned. MUST ORDER BY December 18th for Christmas delivery. Today ONLY – 20% Off (while supplies last)! 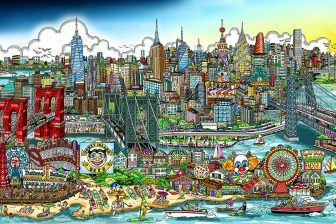 **Any other Olympic Games poster created by Charles Fazzino may be substituted if available. Plus, we’re giving one of these art posters away for FREE. Just post a comment on this blog or on the Fazzino Facebook Fan Page answering our holiday question of the day by midnight tonight and you’ll have the chance to be our randomly selected winner. Visit the Charles Fazzino Gift Shop for even more holiday gift ideas and stay tuned for tomorrow’s Day Six Featured Gift of the Day!